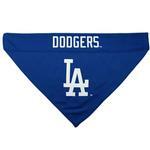 Show support for your favorite MLB team and get your dog in the game with the Los Angeles Dodgers Reversible Dog Bandana Collar Slider! 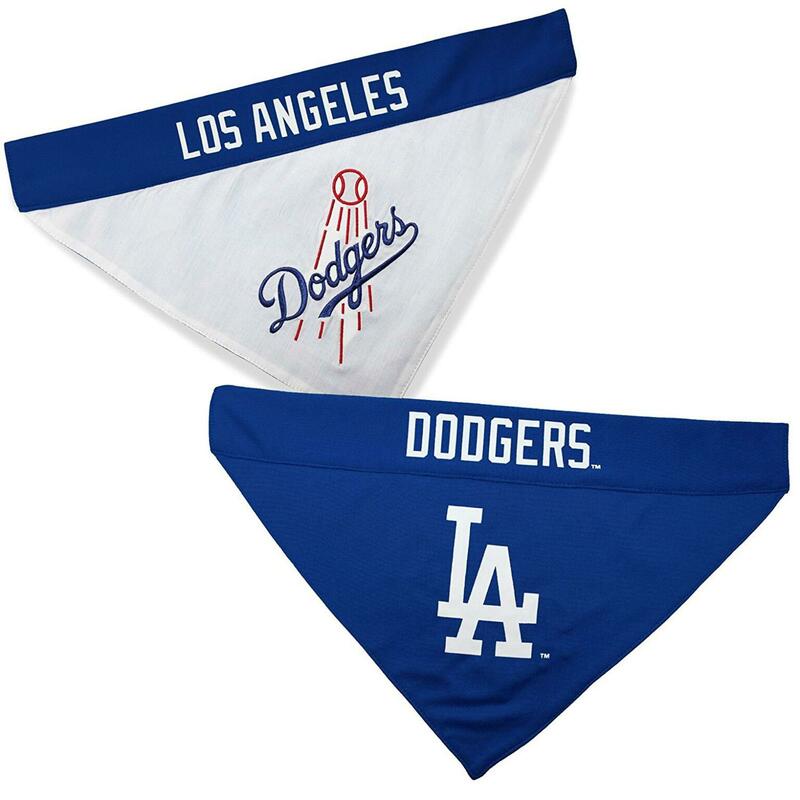 The officially licensed Los Angeles Dodgers Reversible Dog Bandana Collar Slider will have your best friend Dodgers fan looking like an all-star! 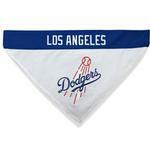 Its soft, 100% poly-cotton material makes it comfortable, breathable, and wrinkle free through any game-day fun. It features screen printed team details on one side and a premium embroidered logo on the other side. 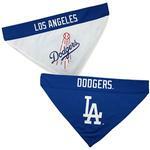 Your dog will rule the diamond in the Los Angeles Dodgers Reversible Dog Bandana Collar Slider! Perfect for Halloween, tailgating, watch parties, or any game-day fun! Go Dodgers! Fits most standard collars, collar not included. I like that you have size measurements for all sizes for every item of clothing. This is a HUGE help in determining what size to get. I also like that you will email me when an out of stock item is back in stock, AND give me a 10% discount.